Reprinted by permission from Northwest Geological Society. Dr. Whitmer was a long time GSOC member and avid amateur geologist, remembered for his field trips and his beautiful reports and guidebooks. Our colleague, friend, and former NWGS President Dr. John Whitmer passed away on January 13 at the age of 92. He was born in Spokane, Wash., where he spent much of his youth, but he graduated from Billings High School, Montana, in 1941. It was during his freshman year of high school in Spokane before moving to Montana that a teacher there inspired what would be a lifelong passion for geology. John went on to attend college at Montana State College in Bozeman, where he majored in electrical engineering, but this was disrupted by World War II. He ended up in Oregon and in 1946 was accepted into the University of Oregon Medical School. After interning in Minnesota, he moved to Grants Pass, Ore., where he went into general practice. It was there that he discovered the mountains and spent much of his time hiking and climbing. In 1955, he moved to Buffalo, Wyo., where he started his own private practice and explored the Big Horn Mountains. In 1957 he moved to Laramie, where he started taking geology classes from the University of Wyoming. While there, he was thrilled to visit the site of the 1959 Madison Canyon earthquake and landslide with three of the university’s geology professors just two weeks after the event . In 1961, John moved to Palo Alto, Calif., where he entered specialty training in psychiatry at Stanford. In 1964, he moved to Lakewood, Wash., where he worked at the Veterans Hospital until his retirement in 1994. After his retirement, he and his wife, Judy, moved to the Providence Point retirement community in Issaquah, where he lived until his passing. Judy preceded John in death in 2014. After John’s retirement, his passion for geology led him into teaching . He started teaching geology classes for retirees at the Providence Point Communiversity, focusing on the geology of the Pacific Northwest. In 1994, he also started teaching geology for TELOS, a retiree program with Bellevue College’s Continuing Education department. In addition to teaching geology to captive audiences in the classroom, John lead his retiree students on countless field trips around the Pacific Northwest. Photo from the 2002 Memorial Day GSOC trip to Wenatchee, led by John Whitmer. Articles about the trip can be read in the July and August 2002 editions of the Geological Newsletter. 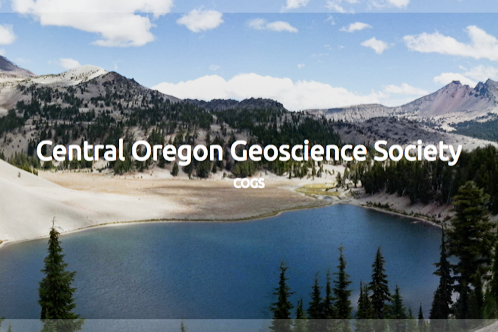 John was active in several geological societies, including the Geological Society of America, the Tobacco Root Geological Society, the Ice Age Floods Institute, the Geological Society of Oregon Country, and the Northwest Geological Society (NWGS). He had been an NWGS member since 1965, and served as the Society’s president in 2007. He also served as the NWGS newsletter editor from 1990 to 2008. John gave two memorable and interesting talks at the Society’s monthly meetings, one on Iceland in 1993, and one on outstanding landforms and outcrops in 2005. Some of John’s students have become loyal NWGS members. While attending NWGS meetings, John was commonly known to stand up at NWGS gatherings and assert that “the Northwest Geological Society is the greatest enhancement to the quality of life in the Pacific Northwest.” John was also commonly overheard saying that he has lived a charmed life. No doubt all would agree, and we at NWGS were fortunate that he shared his charm with us.